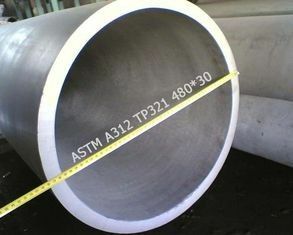 Alloy 317LMN and 317L are molybdenum - bearing austenitic stainless steels with greatly increased resistance to chemical attack as compared to the conventional chromium - nickel austenitic stainless steels such as Alloy 304. In addition, 317LMN and 317L alloys offer higher creep, stress - to - rupture, and tensile strengths at elevated temperatures than conventional stainless steels. All are low carbon or "L" grades to provide resistance to sensitization during welding and other thermal processes. The "M" and "N" designations indicate that the compositions contain increased levels of molybdenum and nitrogen respectively. The combination of molybdenum and nitrogen is particularly effective in enhancing resistance to pitting and crevice corrosion, especially in process streams containing acids, chlorides, and sulfur compounds at elevated temperatures. Nitrogen also serves to increase the strength of these alloys. Both alloys are intended for severe service conditions such as flue gas desulfurization (FGD) systems. 1.A999/A999M: Each pipe shall be subjected to the nondestructive electric test or the hydrostatic test, the pipe of test to be used shall be at the option of the mfg, unless otherwise specified in the PO. 2. 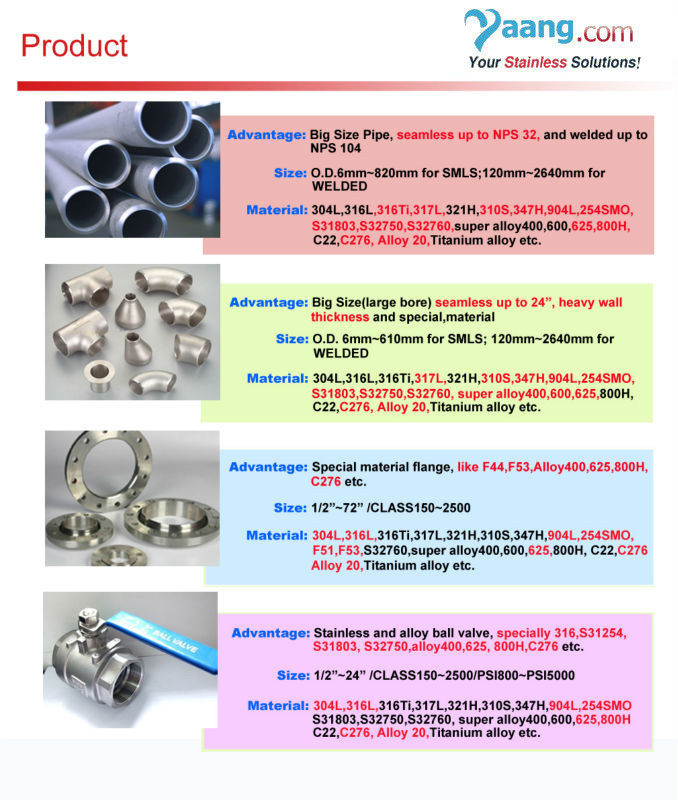 The Pipe lengths: Unless otherwise agreed upon, all size from NPS 1/8” TO AND INCLUDING nps 8 are available in a length up to 24ft with the permitted range of 15 to 24 ft. Short length are acceptable and the number and min, length shall be agreed upon between mfg and purchaser. 6. Packing: Each Pipe end is protected by Plastic cap. Then packed by Anti - rust steel strip, The outside of the bundle is plastic woven bag, or Plastic film. 7. Packing Mark: SIZE + STEEL GRADE+ QTY OF PIECE/WEIGHT/METRE.